This special event is dedicated to engaging the work of Abdulrazak Gurnah: one of the most important contemporary postcolonial novelists writing in Britain today. It presents a unique opportunity to examine Gurnah's oeuvre as well as to discuss it with him in person. The event comprises of a keynote lecture by Giles Foden on Gurnah's novelistic project and its context, and an interview with Gurnah by Razia Iqbal about his work and life in Britain and Zanzibar. ABDULRAZAK GURNAH was born in 1948 on the island of Zanzibar off the coast of East Africa. He came to Britain as a student in 1968 and has taught for many years in the School of English at the University of Kent, retiring as a Professor of English and Postcolonial Literatures in 2017. His novels grapple with questions of belonging, colonialism, displacement, memory, and migration. His first three novels, Memory of Departure (1987), Pilgrims Way (1988) and Dottie (1990), document the immigrant experience in contemporary Britain from different perspectives. 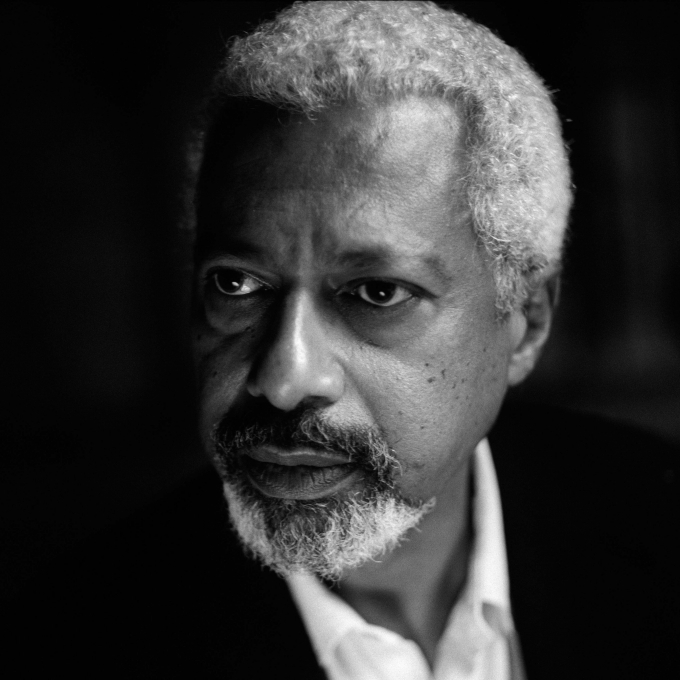 His fourth novel, Paradise (1994), is set in colonial East Africa during the First World War and was shortlisted for the Booker Prize for Fiction. Admiring Silence (1996) tells the story of a young man who leaves Zanzibar and emigrates to England where he marries and becomes a teacher. A return visit to his native country 20 years later profoundly affects his attitude towards both himself and his marriage. By the Sea (2001), is narrated by Saleh Omar, an elderly asylum-seeker living in an English seaside town. His latest novels are Desertion (2005), shortlisted for a 2006 Commonwealth Writers Prize, The Last Gift (2011), and Gravel Heart (2018). He has edited two volumes of Essays on African Writing, has published articles on a number of contemporary postcolonial writers, including Naipaul, Rushdie and Zoë Wicomb, and has also edited The Cambridge Companion to Salman Rushdie (2007). GILES FODEN is Professor of Creative Writing at the University of East Anglia. After growing up in Africa, in 1993 he became assistant editor of the Times Literary Supplement. Between 1996 and 2006 he worked for the Guardian, during which period he published The Last King of Scotland, which won the 1998 Whitbread First Novel Award and was released as an Oscar-winning film in 2006. He is the author of three other novels and a work of narrative non-fiction. He was one of the judges of the MAN Booker Prize in 2007 and of the IMPAC Prize in 2014. His writing has appeared in the New York Times, Granta and Esquire, among other publications. RAZIA IQBAL is a presenter for BBC News: she is one of the main hosts of Newshour, the flagship news and current affairs programme on BBC World Service radio. She also regularly presents The World Tonight on the BBC’s national network, Radio 4. And the history programme, Witness, on the BBC news channel and BBC World TV. She was the BBC’s arts correspondent for a decade. And has worked as a political reporter, and as a foreign correspondent in Pakistan and Sri Lanka. She has worked for the BBC for nearly three decades. Born in Uganda, Kampala she came to London as a child. The event is part of the School of English's Postcolonial Seminar Series, and will be followed by a drinks reception in Grimond Foyer. All welcome.